You Yourself are Intergenerational! Start by remembering and befriending your inner child, the one that dreamed Dreams and saw visions. If you are a youth still in touch with your inner child, how about getting in touch with your outer adult? There are parts of who you have been created as a person that were transparent when you were a child and over time you ‘learned’ that those things were wrong, immature, or even shameful. While yes there are ‘childish’ ways that we are encourage to let go of, that is not what I’m talking about here. I’m talking about that calling from Jesus to be ‘childlike’. When you ask a kindergarten class to raise their hands if they are an artist, almost every hand will be in the air…yes this is probably because they love raising their hand but also that there is a love and passion for creating and learning. By middle school that entire poll completely changes as perhaps a few kids will raise their hands while most will look around to watch what their peers are doing. How does that middle schooler get back in touch with that kindergartner? A better question might be ‘how do I get back in touch with that child in me’? Last night as my wife and I went to the midnight showing of The Hobbit, an unexpected journey, I was struck by a few small points around this topic. First, the story is told generationally. The way it is framed is Bilbo Baggins is writing his adventures to his cousin Frodo Baggins, they are more than seventy years apart and therefore this connection is intergenerational. Also it is a time for Bilbo as he is entering a late stage of life to reflect upon his adventurous middle life experiences. Lastly, when Gandalf describes why he chose such an unlikely home-body as Bilbo to Bilbo himself, Gandalf reminds Bilbo of his youthful adventurous spirit that had been all but replaced by reading and looking at maps as an adult. Bilbo is brought face to face with the need to embrace the passions of his childhood and realize them as an adult. One small aside this embracing of childhood passion can be a perverted immaturity as a grownup child plays with expensive and dangerous toys at the expense of others to fulfill selfish desires, the guard against this is clear from the movie…other centeredness. Bilbo embraces the adventure for the sake of reclaiming a home for the dwarves, be a child and then live passionately and childlike for another’s good! Let’s also remember what I just described is the part of “getting in touch with your outer adult”. There is a beauty that comes along with age, that of wisdom, loyalty and integrity. These are also why Bilbo was chosen for the journey, fear would cause him to doubt his place at moments. The beauty of having a hobbit on the journey..and in this world is that they are the only ones of such great character (especially the Baggins) that they can carry the ring. Today there are a few practical things I want to encourage you in. First, reflect on your passions from your childhood. One for me was the grandfather clock in our house, hands down the most valuable possession in meaning to my family. I grew up with a love of that clock and when an opportunity arose to be involved with making a clock, my passions from childhood were ignited. Second, sing a song or read a poem or riddle…today. There is a beauty and inspiration that cannot be captured in words by doing this. Christopher Alexander in his masterpiece, The Timeless Way of Building, captures this well…he spends an entire book describing how this nameless power is present in good (true) architecture. Seek the deeper magic today. 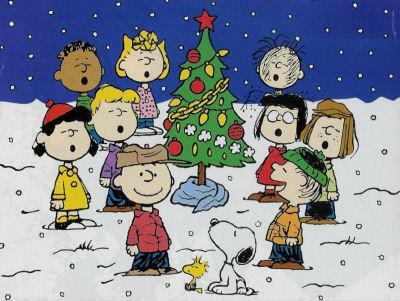 To kick off the advent season in our home we decorated the Christmas tree and watched Merry Christmas Charlie Brown last night. The tree had been set up with lights on it since Thanksgiving weekend but it took us some time to get around to organizing, putting up ornaments with a two year old is really challenging. I am glad to report that we did not drop and break any ornaments last night, that was a record. This first week of advent our family will focus on Hope. Just this morning my second daughter was telling me over breakfast how excited she is over Christmas, she can’t wait for the gifts and the skiing. Very quickly though she told me that’s not what Christmas is about though, so I asked her what Christmas is about. She said, “Tiny baby Jesus”, and feeling like the great parent I pretend to be I asked how she knew that expecting to hear she learned it from out viewing of Merry Christmas Charlie Brown, I was surprise she said I learned it from my big sister. Sincerely I was proud to know that our entire family is talking about these things with each other. One hope I have is that our family will continue to grow in our personal passion for God but also the ability to talk with others (including each other) about what God is teaching us. Advent seems so short to me today, only four weeks to consider that God came to earth as a person, that God promised this and always fulfills his promises, that this physical stuff matters, and that family and friends are to be served and loved through my humbling of myself. My hope is that we would enjoy this season together as a family and think about what it really means that Jesus was born. My hope is that we would enjoy the study we have done the last few years written by my friend Elliot Grudem, if you need some guidance for Advent is a great start, Advent Devotional. Hope you enjoy your Advent!